Thanksgiving is just around the corner! Where has the year gone??? There is so much going on this time of year, but I still try to make time to create Thanksgiving cards. 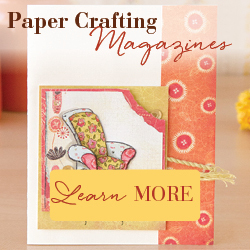 This is a super quick and easy card that you can put together in just minutes. I stamped the pumpkin from Stampabilities on white card stock, colored it with Copic markers, and punched it out with a circle punch. I then lightly inked the edges with brown ink. 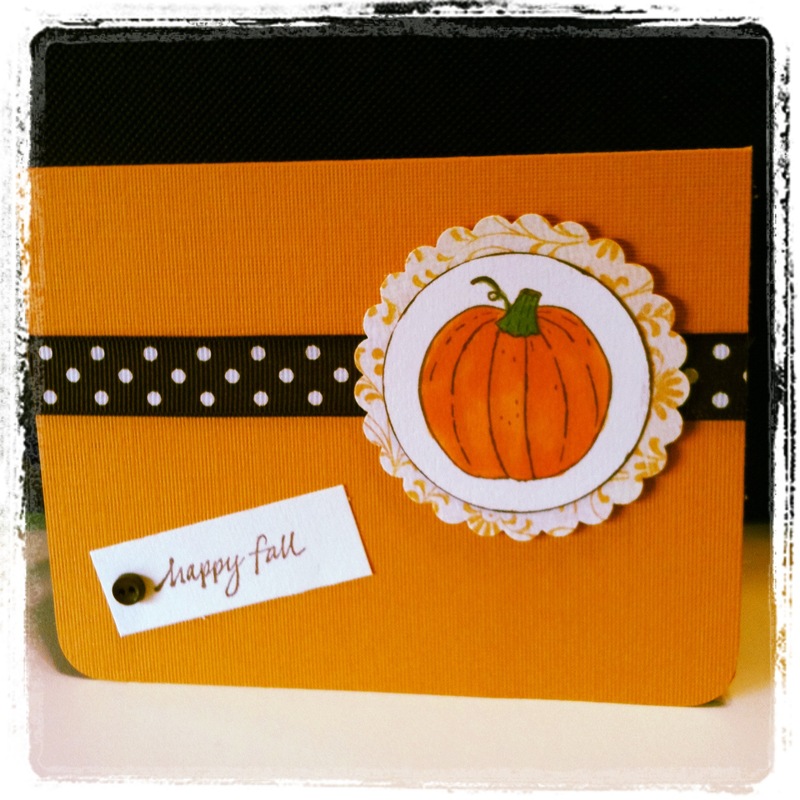 I punched a scalloped circle from patterned card stock and layered the pumpkin on top. I’ve had this pumpkin stamp for several years and purchased it from Hobby Lobby. I’m not sure if it’s still available, but there are similar ones to choose from. I stamped “happy fall” from Savvy Stamps with brown ink on white card stock and trimmed it with room to add a tiny brown button on the left. The polka dot ribbon is attached to an orange card that has the bottom corners punched with a corner rounder. The pumpkin image is attached with pop dots. The sentiment is attached to add the finishing touch. This clean and simple card could be used for any Fall occasion. Simply change the sentiment to happy birthday, thinking of you, or happy Thanksgiving!